When your husband asks “Can I have a pound of that fresh parsley in the garden? I want to make wine.” it’s best to go along with him. Perhaps he will share a bottle with you. So he showed me the recipe in this book we have…. 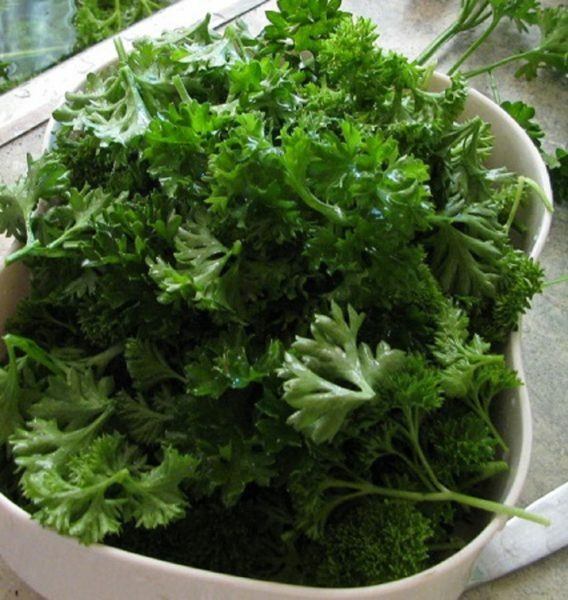 “For a gallon of this wine, take a pound of freshly picked parsley…..
.. pour on it eight pints of boiling water. 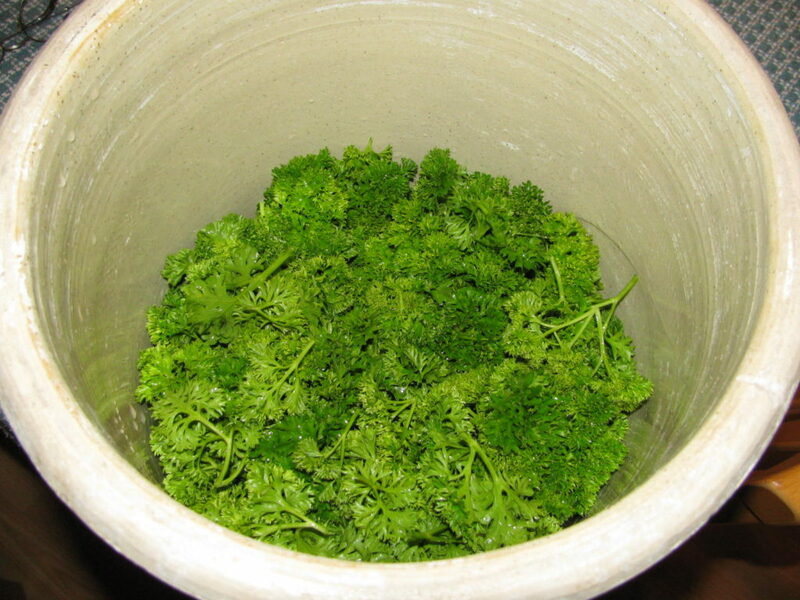 Let the parsley infuse for three days…..
At the end of that time strain off the liquor into a preserving pan. Put into it half a pound of fine raisins, well chopped, together with the pulp and juice of a lemon and an orange, and the thinly peeled rind of the orange. Simmer this liquid for an hour and at the end of that time, stir in three pounds of white sugar and allow it to cool. When it is lukewarm, draw off a pint of the liquid and prepare a starter with a little yeast. 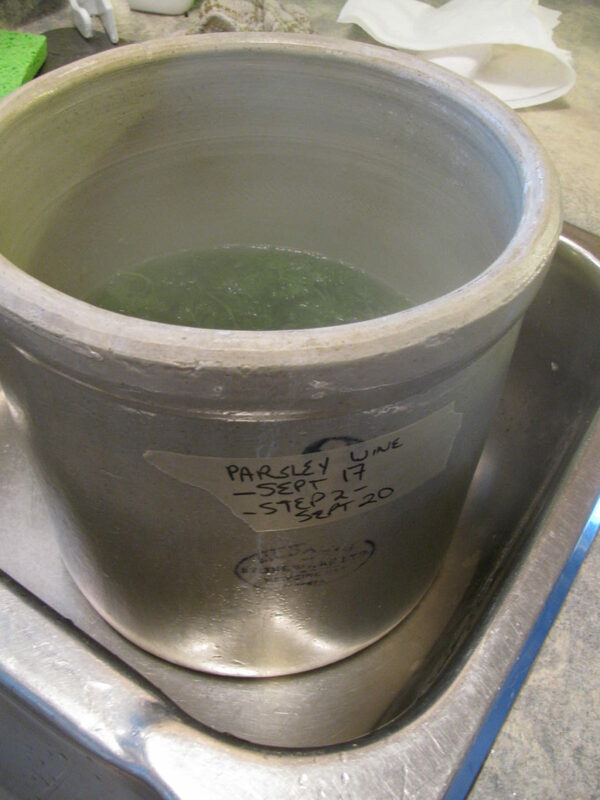 As soon as it begins to froth, strain, and with the rest of the liquid, into a stone jar. 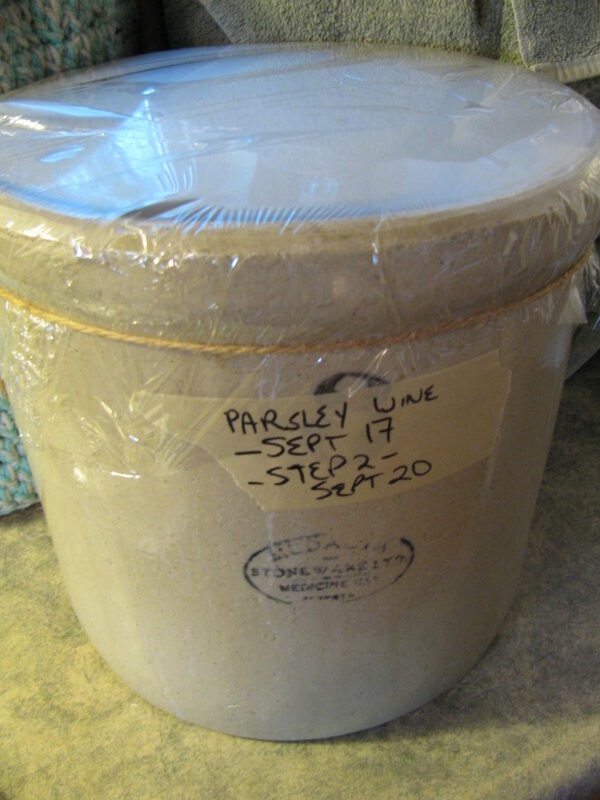 Leave it to ferment, covered well with a thick cloth. This wine can usually be bottled after six weeks and will be fit to drink almost immediately.